Happy Monday Everyone! 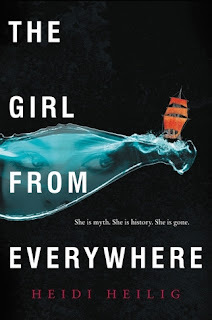 Today I've got a fantastic guest post by debut author Heidi Helig to help celebrate the release of her YA time travel THE GIRL FROM EVERYWHERE that releases next month. I love time travel stories and Heidi's sounds awesome. Start working on a book. Scrap that book, it’s terrible. IMPORTANT: Have your agent sell that book you sent to them. Get on twitter. Make friends. Talk about your book so everyone knows to be excited. Remind everyone about your book. Gently correct people who thought that it was already out. Realize that maybe a year in advance was too early to tell everyone about your book. Goodreads just to five star your book. Wonder who gave it one star when there aren’t even ARCs out yet. Was it your jealous cousin Jack? The one who said congratulations but in a really fake way? I bet it was Jack. Reveal your cover. Accept all the accolades even though you had literally nothing to do with it. Read three dozen “How To Market Your Book” articles. Spend too much on book swag. Spend even more on mailing out your bookswag. Get off Twitter so you stop being tempted to do giveaways. Get back on Twitter only to discover ARCs are out in the world and now people can tweet you their reviews—both the good and the bad. Plan your parties! Buy your outfits! Schedule blog posts! Do more giveaways! Forget to eat! Stop sleeping! Regret your choices! Find a typo in your finished copy. 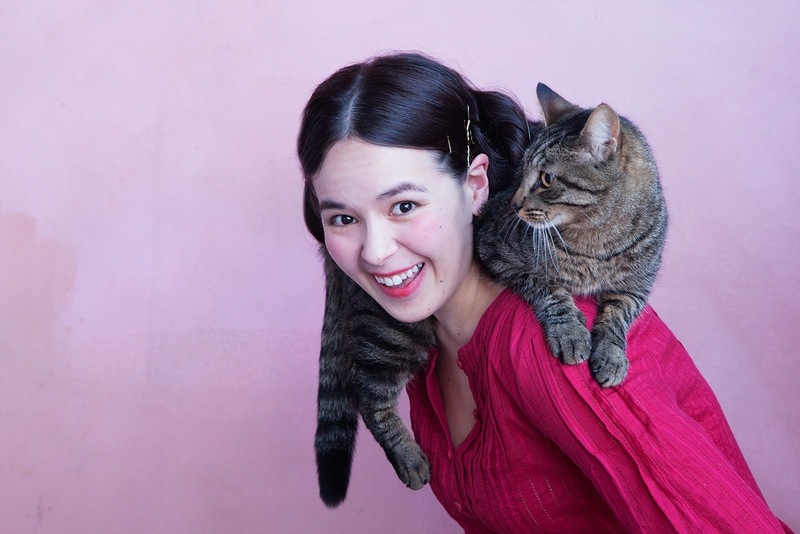 Heidi and I are sharing in the cost of an e-book of THE GIRL FROM EVERYWHERE for one lucky winner. To enter, all you need to do is be a follower (just click the follower button if you're not a follower) and leave a comment through February 20th. If your e-mail is not on your Google Profile, you must leave it in the comments to enter the contest. On Monday I have an interview with debut author Janet Taylor and a giveaway of her YA time travel INTO THE DIM. The Monday after that I have a guest post by debut author Kim Savage and a giveaway of her YA thriller AFTER THE WOODS. Wednesday that week I have a guest post by Kimberley Griffith Little and a giveaway of BANISHED or another book in this series. I love the blurb, especially the part about '...their crew of time refugees.' Sounds so interesting. Congratulations to Heidi! This was a fun post. Congrats, Heidi! Congratulations, Heidi! That is a spectacular cover. So clever! I love time traveling books. Thanks for the fun post. I laughed out loud! Find a typo in your finished copy - LOL! Welcome to the reality of book publishing. It happens. PS: Don't count me in the giveaway. Count me in! Sounds wonderful and I've heard many great things about this book. I agree with C. M. fun post. The idea that Nix's father would maroon her somewhere in time just isn't right. Would love to read this to find out what she does! What a wonderful premise. The stakes are awesome but her dad sounds like a jerk. That was hilarious! I wonder if she ever plotted Jack's secret demise? That dad needs some comeuppance. Loved the picture of the smiling girl with the cat. Very sweet. Sounds like a super fun book, which I'm adding to be To Read pile! Ha! Fun post :) Congratulations on the book~ I've been hearing fabulous buzz about it everywhere! Great timeline. :) I'll have to remember this. Love the 2 years mark. I've been looking forward to this book for a long time, and I can't wait to get my hands on it. The idea is so interesting, and I've heard so many good things about it. Also, I can't really resist a cover like that. What a unique story idea! This sounds like a book I'd love! I enjoyed the honest appraisal portrayed in Heidi's countdown. Good luck with your book. The story line is certainly intriguing but don't enter me in the drawing as my TBR pile is at an all time high. I was searching for a giveaway of this graet sounding book but nobody was doin it internationaly. But now that I found one I can go happy and smiling to bed. :) Thanks for a great giveaway and a even better book!! Love you! Appreciate you sharing the post, Natalie. I'll pass on the giveaway this time around. Enjoy the week! OMG, this book sounds incredible. I am trying so hard not to acquire anything else, but please do throw my name in the hat for this one. It sounds just too good. Thanks for the post. Very fun. I love the cover and the description is very appealing. Congrats to Heidi. I'm a follower and I'd love to read this. Great post! The cover is very cool. Thanks for the giveaway! A fun post thank you. I do enjoy time travel stories. Can't wait for your next posts Natalie!! Thank you very much! great blurb. sounds like a nice book. Time travel is one of my favorite genres. Time travel!! I love the idea. Except her dad sounds terrible. I want to abandon HIM in some time that can never be reached again. Thanks for the great giveaway! Someone should totally just stab cousin Jack. I have a few more things I'd insert into that timeline, but that's having been through the publishing process a couple times. The book sounds fabulous! Can't wait to read it. Ooo. I like time travel. Congrats to Heidi! And Happy Wednesday to you, Natalie. I love the premise! I think it would make a great TV series. Heidi is so adorable -- I love all the funny things she mentioned in her time-line. Wishing her much success! The Girl from Everywhere sounds terrific. What an original plot problem! I loved the timeline, too. Great humor! I adore a good time travel, and this one promises to deliver. Can't wait to read! Great interview and thanks for the giveaway! My email is on Blogger. Great post!!!! Very very interesting story, thank you for the chance!!!! I would love a copy of this book! Enter me, please! It's on my TBR regardless.